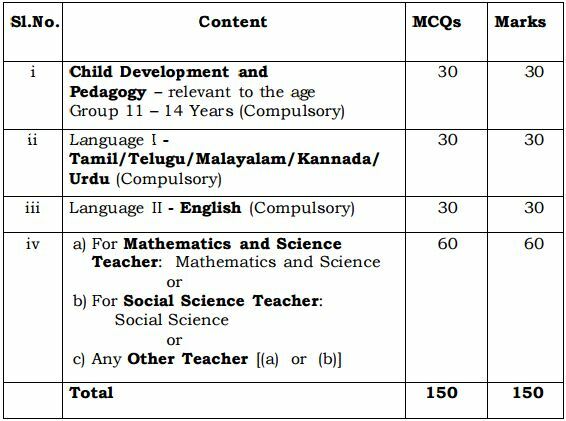 In accordance with the provisions of sub-section (1) of section 23 of the RTE Act, the National Council for Teacher Education (NCTE) has vide Notification dated 23rd August, 2010 laid down the minimum qualifications for a person to be eligible for appointment as a teacher in classes I to VIII. appropriate Government in accordance with the Guidelines framed by the NCTE. b. Secondary Grade Teachers working in Unaided Institutions without the prescribed qualifications shall acquire such minimum qualifications within a period of 5 years and should pass the TET Paper I.
c. All Candidates with necessary qualifications for a Secondary Grade Teacher and seeking for appointment as Secondary Grade Teacher for Classes I to V.
d. Candidates who want to improve the scores of their previous TET Paper-I. a) Candidates who have passed Higher Secondary Course (10+2 Pattern) and Diploma in Teacher Education / Diploma in Elementary Education (Regarding the Candidates who have passed D.T.Ed. Certificates from States other than Tamil Nadu their certificate should be evaluated before Certificate Verification) in a Recognized Teacher Training Institute / DIET and seeking an 3 appointment as Secondary Grade Teacher for classes I to V (except Visually Impaired Candidates) can write Paper I.
b) Candidates appearing for the Final Year Examination of D.E.Ed. during the current Academic Year (2012 – 2013) are also permitted to appear for Paper I in Teacher Eligibility Test. Such Candidate’s should have successfully completed the course in the current Academic Year (2012-2013) itself and should produce D.E.Ed Certificate during Certificate Verification, otherwise they shall not be considered for current year Government recruitment process. However they may be issued with TET certificate after producing D.E.Ed Diploma certificate. a. Child Development and Pedagogy will focus on Educational Psychology of Teaching and Learning, relevant to the age Group 6 – 11 years. shall be considered for the vacancies in the concerned medium only. e. The questions in the test Paper I will be based on the topics of the prescribed Syllabus of the State for Classes I – V but their difficulty level as well as linkages will be upto the Secondary Stage. 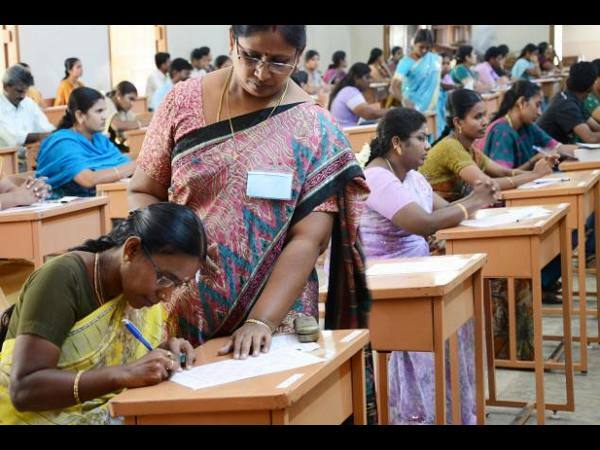 a) A person who secures 60% or more in the TET Paper I examination and possesses prescribed qualification for the post of Secondary Grade Teacher in Tamil Nadu will be considered as TET Paper I Pass. This will be the qualifying marks for the candidates of all the categories. b) Candidates are allowed to appear for the TET Paper I Examination only on the basis of their declaration that they possess the required qualification for the post of Secondary Grade Teacher. 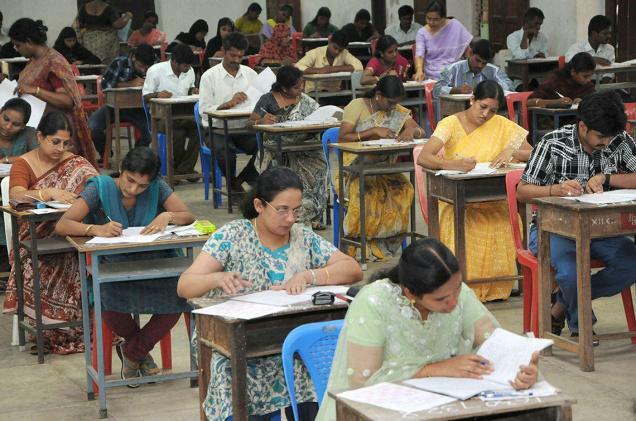 c) Candidates who have secured 60% and above in the TET Paper I Examination will be called for Certificate Verification. d) During Certificate Verification their academic qualifications will be verified. e) After Certificate Verification TET certificate will be issued only to eligible candidates. f) TET Certificate will be valid for 7 years from the date of issue of the certificate. g) TET qualification is only one of the eligibility conditions for appointment. Mere holding of a TET certificate does not confer any right to appointment. b. Graduate Teachers working in Unaided Institutions without the prescribed qualifications shall acquire such minimum qualifications within a period of 5 years and should pass the TET Paper II. c. All Candidates with necessary qualifications for a Graduate Teacher and seeking for appointment as Graduate Teacher for Classes VI to VIII. d. Candidates who want to improve the scores of their previous TET Paper-II. their Degree course or a Degree with any one of the equivalent subjects (Regarding equivalent subjects, Government orders issued prior to the date of this notification alone will be considered) from a Recognized University under 10+2+3 Pattern 3 and a Bachelor Degree in Education (B.Ed.) from a Recognized University and seeking an appointment as Graduate Teacher for classes VI to VIII can write Paper II. a. Child Development and Pedagogy will focus on Educational Psychology of Teaching and Learning, relevant to the age Group 11– 14 years. b. Language I will focus on the proficiencies related to the Medium of Instruction. The Candidate has to choose any one of the languages mentioned in Sl. No. ii above. For recruitment process, candidate shall be considered for the vacancies in the concerned medium only. d. Mathematics and Science / Social Science will focus on the concepts, problem solving abilities and pedagogical understanding of these subjects. e. The questions in the test Paper II will be based on the topics of the prescribed Syllabus of the State for Classes VI – VIII but their difficulty level as well as linkages will be upto the Senior Secondary (Higher Secondary) Stage.